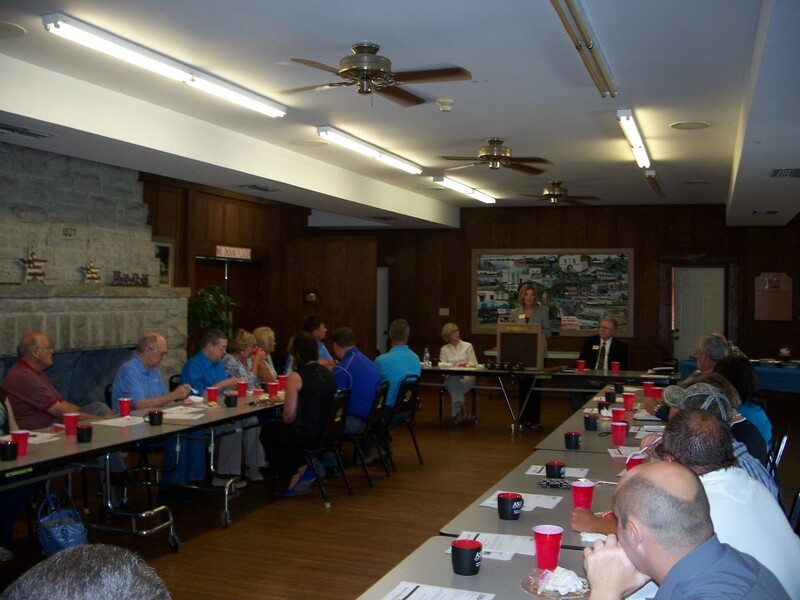 The Chamber and Lion’s Club regularly sponsor business luncheons and business after hours functions to engage citizens, merchants, and leaders. ASUN Chancellor Sandra Massey, pictured at the podium, and ASUN Vice Chancellor for Workforce Development Charley Appleby, seated to the right of Massey, speaking at the Community House. The two met with business leaders to receive feedback and discuss ASUN’s role in economic and workforce development as part of ASUN’s partnership with the Sims-Talbot Adult Education Workforce Development Center.